Sometimes, it can be tempting for small business owners to forgo building a website in favor of having a Facebook page as the extent of their online presence. After all, Facebook pages are convenient, the social media site has an incredible reach, and most convincingly, Facebook pages are free. However, small business owners who rely solely on a Facebook page instead of a professional website are most often making a critical mistake. Control of SEO – Facebook pages can typically only be found if someone searches your business name directly, either in Facebook or in a search engine. With an effective SEO strategy, though, a website can appear in the results for a much broader range of searches. For example, if a customer searches for “jewelers in St. Louis”, the website of a St. Louis jeweler that leverages SEO may very well be at the top of the page whereas a jeweler using only a Facebook page for their business likely won’t show up in the search at all. Better Control of Your Online Presence – Facebook pages are much more limited than websites in regards to the amount of editorial control that they offer. With a website, you can publish blog posts, create detailed pages describing your business, include contact forms and other lead generation tools, and much more. In this way, websites provide a business with much more significant control of their online presence. More Trustworthy – If a potential customer searches your business name directly and a Facebook page is the only result, your credibility is likely to take a hit. 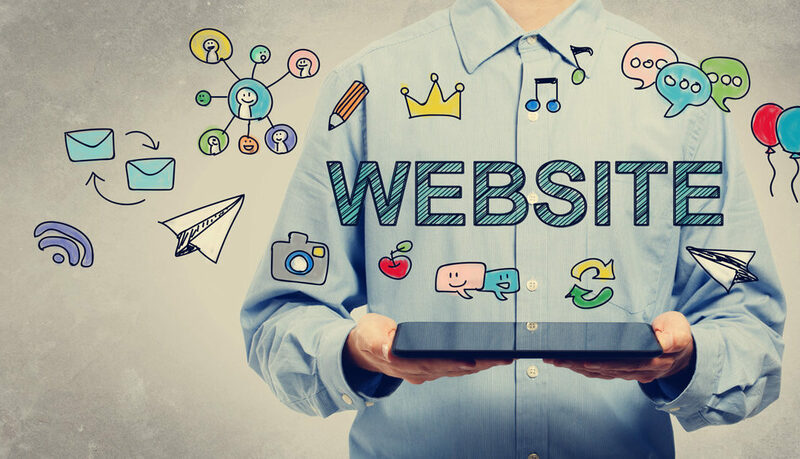 Customers like to know that they are working with an established, professional business, and established, professional businesses have websites. Having a website that customers can go to to learn more about your business when they search it directly will automatically boost your trustworthiness, whether the customer consciously realizes it or not. A Central Hub for Your Digital Marketing Strategy – When digital marketing is at its most effective, social media platforms serve as marketing tools meant to drive traffic back to a more detailed website where customers are able to further their discovery of your business. In this way, websites serve as the central hub for your digital marketing strategy. Using a social media platform as your central hub rather than using it as a tool to drive people to your website is typically not nearly as effective. Social media profiles offer a lot of value to small businesses. However, that value is best realized when they are used in tandem with a professional website. If you want to build trust in your customers, expand your online presence, take advantage of SEO, and create a central hub for your digital marketing strategy, your small business is going to need a website. A Facebook page alone simply won’t do the trick.